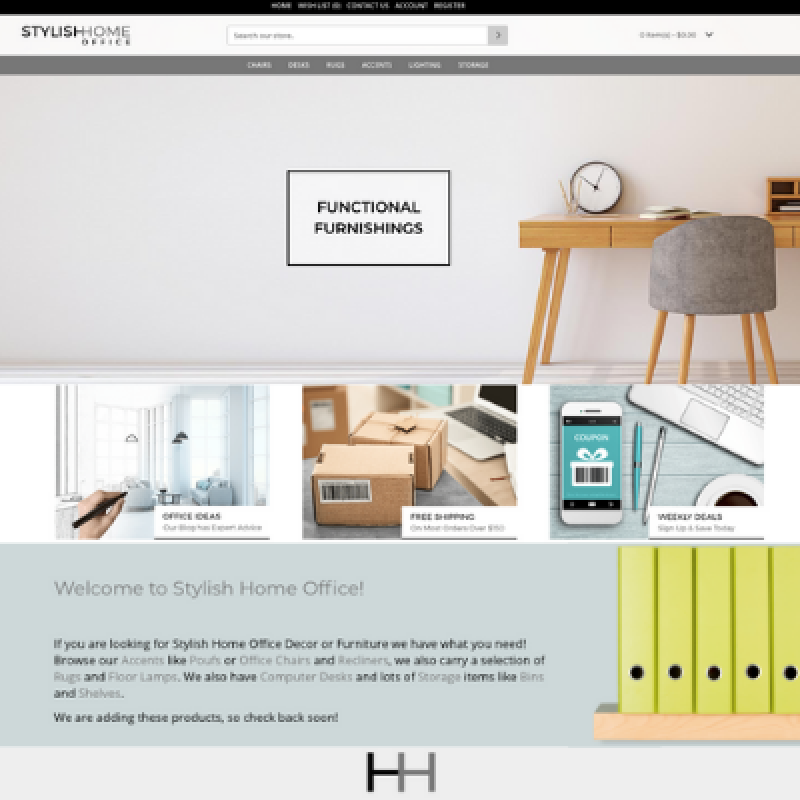 Concept: Pure-Ecommerce is excited to launch this drop ship online furniture business featuring the essentials needed to create a stylish home office! Of course, it’s appropriately named StylishHomeOffice.com and it features a sleek design with a catchy domain name sure to draw attention to online shoppers. Here they will find a collection of products with chic, modern style and they are all purely dropship, which means you will not be required to hold any inventory. The easy to navigate categories help online shoppers find “Functional Furniture”, “Sophisticated Seating”, “Maintenance-Free Greenery” and “Lovely Luminance”. All the essentials someone will need to create their very own stylish home office! This is a 100% responsive design website and provides convenience to shoppers as they can shop from anywhere - anytime! Plus, this website will look fabulous no matter if they are shopping from their computer, smartphone or tablet. This online store offers easy navigation making it simple to find products, while marketing the products is simple with eye-catching rotating images, sales banners, pop-up newsletter invite, read the latest blog, plus much more! Ready to get started, but not sure where to begin? That's why we are here - let our team can help you get started! This "business in a box" will give you the "tools" you need to get started in the online marketplace. Our team will load the first 300 products for you and establish the initial drop ship vendor relationships for you. Plus, you'll receive access to our exclusive eLearning Library, which houses our 10 Step Instructional Process. Our step-by-step process is designed to help you learn to set up, run and market your online business. Need additional support? Then you should consider our platinum package upgrade option! Want to rule your life and be your own boss? Then register or log in to our website portal to view our current pricing and to find out more about how we can help you enter the exciting online marketplace. We invite you to also set up a FREE phone consult to discuss any questions you may have about this website and our services. Let us help you get started today! According to Global Information Inc. the global market for office furniture is an important segment of the furniture industry, with a worldwide apparent consumption on the order of $50 billion. 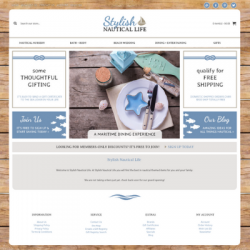 StylishNauticalLife.com designed by Pure-Ecommerce Responsive Design Website Part of Our Prem..
DesignerJewelryShoppe.com designed by Pure-Ecommerce Responsive..